*Tension calibration not available about 25000 lb. 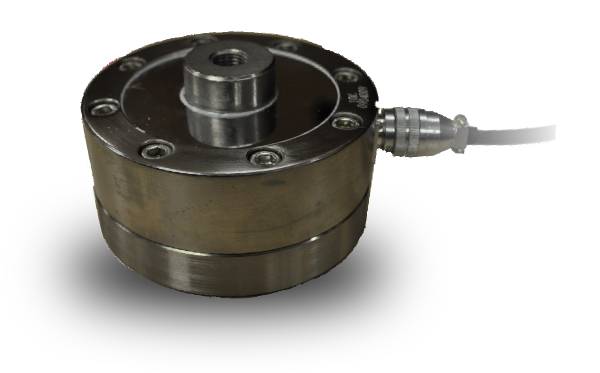 These pancake Load cells constructed with high grade alloy steel, come complete with 20 foot four wire cable and are designed for heavy duty industrial weighing and testing applications. They come in two configurations - one for compression applications only and the other one with a threaded hole that can be used in tension or compression.